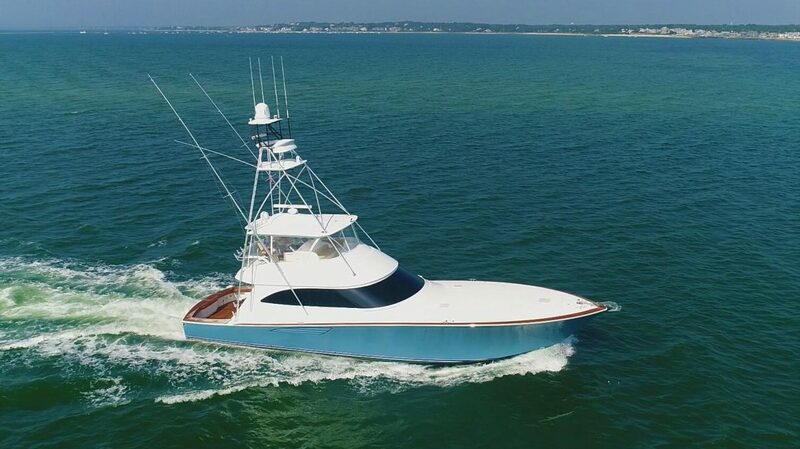 The 34th annual Palm Beach International Boat Show, March 28 – 31, 2019, is one of the top five boat shows in the country. The show will feature more than $1.2 billion worth of yachts and accessories, including hundreds of boats ranging from 8-foot inflatables to super yachts nearly 300 feet in length. In addition to the large selection of boats and exhibits, the show offers fun and educational activities, including free youth fishing clinics by Hook The Future and IGFA School of Sportfishing seminars. Attendees will also enjoy live music and refreshments at the show’s famous floating cocktail lounges. Guests are invited to come by boat and may tie up to free docks located south of the in-water displays. The show’s Windward VIP Experience includes admission to the show and VIP lounge featuring a premium open bar, hors d’oeuvres, concierge service and indoor and outdoor lounge seating. Featured at Palm Beach Int’l Boat Show! A meticulously kept and well-appointed 2016 66’ Viking Convertible. Powered by CAT C-32 1925 HP with 1300 Hrs. Stop by and Visit us at the Palm Beach Int’l Boat Show and Let us Help You on the Search for Your Next Boat! Contact Us for more details on the show or to find your new boat!